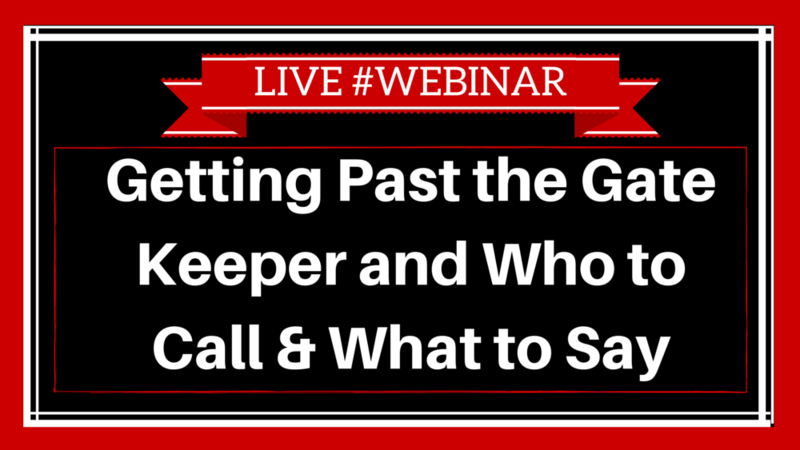 The webinar is designed to cure any feeling of “phone phobia” and give YOU the confidence to pick up the phone and find new business opportunities. Together we will be looking at identifying your targets, highlighting the only 3 call types you’ll ever need, then with a quick look at a basic call structure we can then work on perfecting your pitch and giving you a selection of tips and techniques of how to get through to the decision maker. This interactive session is packed full of practical tips that you can apply to your business, so make sure you’re ready to take lots of notes as this will change the way you think and give you the ability to make each call count!